Choosing a web host is one of the most crucial tasks you have to perform when working on your website. It can be difficult for an inexperienced webmaster to find the best hosting plan without anyone’s help. 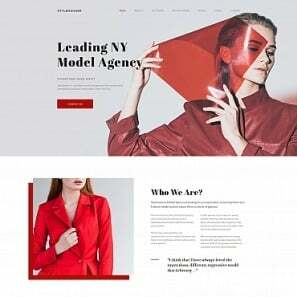 With the plenty of offers out there, how can you be sure you have chosen the most appropriate hosting template for your web project? This guide will help you to sort the wheat from the chaff and make the things clear. Since a free hosting is not the best choice for creating a professional web presence, here we will be talking about paid hosts only. So, what are the main criteria for choosing a host among the richest bunch of offers available today? The most widespread hosts are Linux/Unix and Windows. There is a huge amount of arguments on the web over which of these systems is the best for hosting. Well, our answer to this question would depend on what you do. All in all, both are fine, but Windows will cost you more. Linux additional software (Apache, Sendmail, APF Firewall, BIND, and more) is usually free (or low cost). 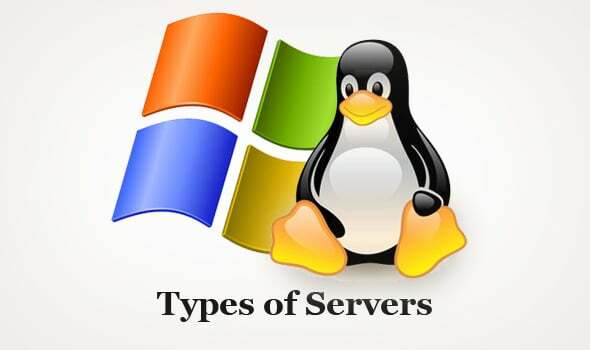 Compared to the Windows hosts, the Linux servers are very hard to administer. All the operations are performed via remote shell access (like Dos). But despite the lack of convenient interfaces or necessary buttons to click, with a Linux hosting you will have much more control over your actual server as compared to a Windows hosting. The Windows systems allow integration with Microsoft products and allow the websites to run Active Server Pages (computer scripts for dynamic website content) as well. The Microsoft servers give an access to the SQL database, which is one of the most powerful ones. Some of the available options include Advanced Server, 2003 Server and Windows 2000 Server. The Windows hosting is really great for newbies because of its simple user interface. The downside of the Windows hosts, as we already said, is their cost. In case you additionally need some applications such as remote admin programs, firewall, ASP Mail, ASP Encrypt, etc. 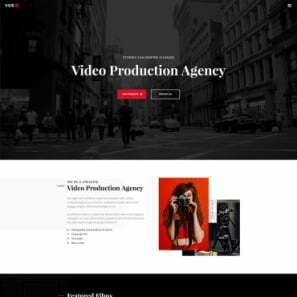 – they will be available for extra cost. … In simple words, if you need to develop your website in ASP – use a Windows hosting, but if you are going to develop in PHP then you’d better use a Linux/Unix host. There are four types of paid web hosting: shared hosting, co-located hosting, unmanaged dedicated or managed dedicated hosting. Let’s see what each type means. Shared Hosting (or virtual hosting) is the most widespread type. It implies sharing the server with other customers of your hosting provider. 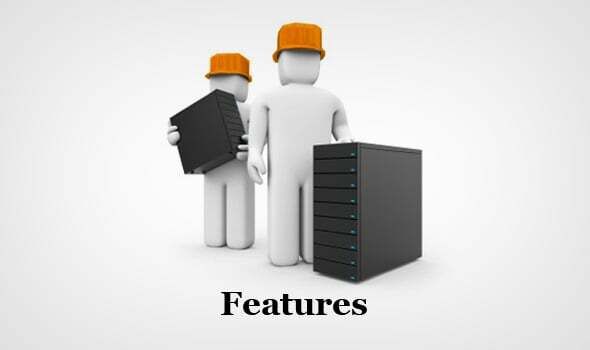 The host manages the server, but it gives you an opportunity to control and operate your website via the control panel. This kind of hosting is the cheapest one, because the cost of such a hosting is predetermined by the quantity of server customers. Co-located Hosting includes buying a server space from the provider with further supplying to the host. In that case, the provider is not responsible for the support and maintenance of your server. Some of the providers offer a maintenance contract for an additional payment, but most co-located hosts do not. High price that is supplemented with expenses on support services is the disadvantage of a co-located hosting. Unmanaged Hosting is very similar to the co-located one, but you lease a server from a host instead of buying it. Support and maintenance is often very limited here. Managed Dedicated Hosting is opposite to the shared one: you don’t share the server with other customers. You have full access to the server resources and have an opportunity to host more than one website on the server. Dedicated hosting will be an optimal solution for you, if your website requires much disc space and traffic. 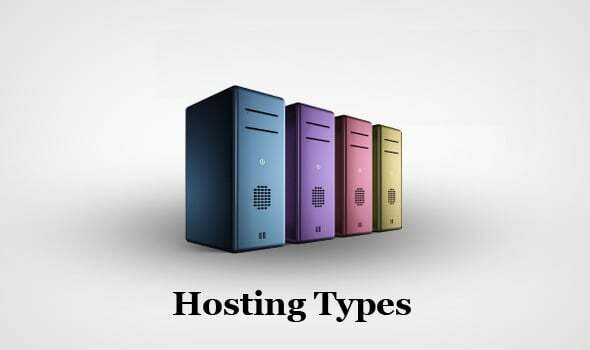 The host provides full support and maintenance, so the price for this kind of hosting is usually high. A reliable hosting must have an up-to-date server which would guarantee full functionality of the entire websites within its service. A good web hosting company should give you at least 99% uptime guarantee (and prove it with the irrefutable arguments). 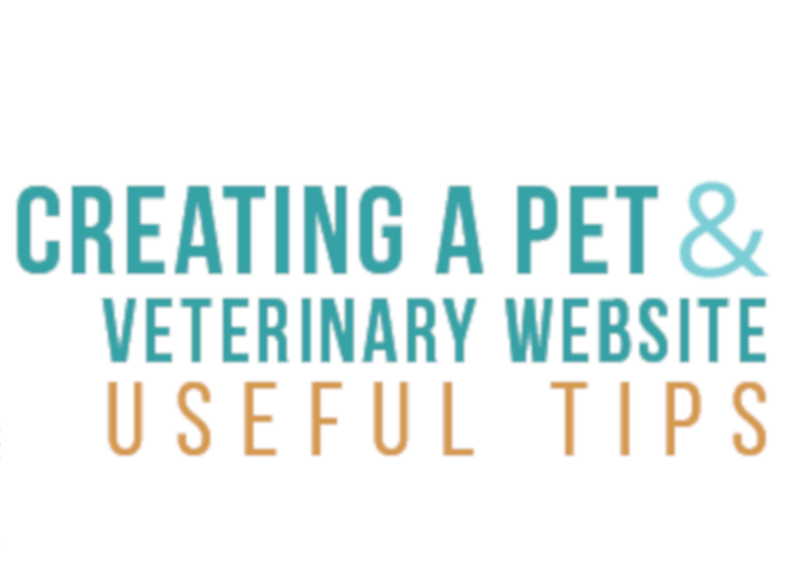 That means your website will be up and running for 99% of the agreed host time. The host’s age is also important. If their business have been running for two years (or more), that means they have already fixed the bugs and the system runs smoothly. You can find the company’s website age with the help of the WhoIs.net service by typing the domain name in the search box. You will get a basic info as to the host domain as well as the period of time when the host’s domain record was first created. Ask the host you are going to deal with if they have a recovery plan in case of a disaster: storm damage, power outages and other happenings that may cause lengthy downtime problems. If you have several sites, we would advise you to use different hosts for them. Thus, in the case of one of the hosts is down, other your websites will be up and running. A responsive dedicated technical support is one of the most important aspects of a web hosting company. A host may offer support by phone, e-mail, live chat, via a ticket system or any combination of those methods. A customer-oriented host makes the best hosting option for all their clients. 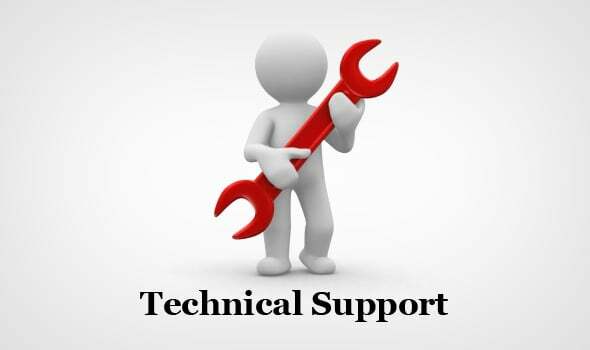 You will need the host with the tech support available 24-7, which will be able to easily resolve your issues without delay in the case of need. You can test their average responsive time by calling them several times in the day and night and see how long you have to wait to talk to an operator. An average admissible waiting time is about 30 minutes, but a good support usually responds much faster, very often without even keeping you on hold. As to e-mail or live chat support, the response to a ticket or e-mail shouldn’t take more than a few hours. If the quality of the host’s tech support leaves much to be desired, this means the host company may experience financial or other difficulties. However, we have to admit that any provider’s support may experience bad times for a couple of days in the cases of some force majeure circumstances, which may happen to any provider at any time. That’s not a real problem as opposed to the cases when support’s work is constantly bad. Location. Find out about the area where the data centre is located. Is the area predisposed to natural disasters? Make sure the host will be able to recruit (retain) skilled resources in case of need. Steady Power. It is important the data centre to be able to get fed power from separate sub-stations to provide a steady electricity flow. Thus, in the case of a power issues in one area the operations of the data centre will continue uninterruptedly. Security. Make sure the data centre of the host is highly protected. On-site security and biometric access are very important. Redundancy. As we said earlier, any backbone provider may experience outages from time to time. The only way to make sure such circumstances don’t affect your website is to choose a host which has connections to multiple (at least three) IPs. Connection Speed. Obviously, the faster connection a host offers the better. Faster speed means faster websites. The most promising data are a little overstated – it is impossible for a user to connect that fast. But it means a provider is able to send much data at a time what is really important. 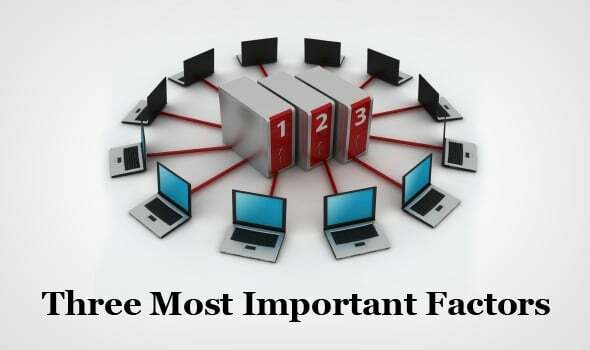 Of course, there are many other factors that we have to take into account when choosing a host, such as disc space, cost, data transfer allowed, etc – but without the three above mentioned considerations the rest means nothing. It varies from host to host, but essentially they all allow you to manage some points of your hosting account yourself. As a minimum, they should allow you to do things like add/delete your e-mail addresses and change passwords to your account. 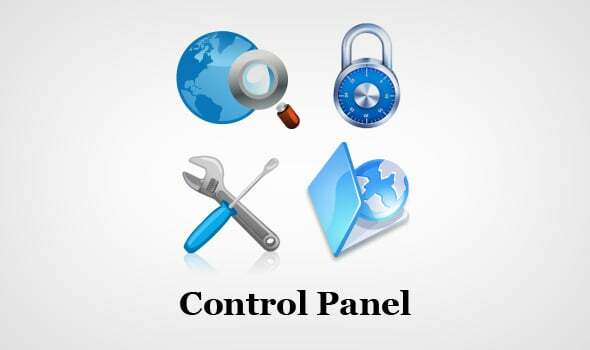 It is very good if the host can offer you the control panel where you will be able to make some things like installing a blog, setting spam controls, checking your website statistics, setting up password protection, installing a shopping cart, adding/removing domains and sub-domains, etc. The list of features a host company offers can be extensive… But how many of those features will you really need? There are two features that most people find essential: the amount of disc space and the amount of bandwidth (data transfer) your website is permitted per month. There are many other features you can compare, but most likely you will not see a big difference between one host to another. Some of them we will mention here anyway. Disk space is the amount of space allowed for your website. Today many hosts offer unlimited disk space, but by “unlimited” is usually meant “as much as you need until your website becomes a really big thing”. In that case you will be asked to move to another hosting or a dedicated plan. But you shouldn’t worry – if your website becomes so big, it will not be a problem for you at all, because your website should be making good money then:). Bandwidth is the amount of data your website can pass to users over a definite period of time. Some hosts offer unlimited bandwidth, and others will charge you for the amount you are going to use. These days it has become popular among host companies to offer unlimited amount of monthly bandwidth usage. The truth is that most of websites never use all the bandwidth allowed per month. Very often a host easily assigns 20 GB per month to an unlimited amount, but most websites’ actual usage is measured in megabytes. So, bandwidth shouldn’t be a problem for most of website owners. Uptime is the percentage of time that the hosting has been up. Most hosts offer huge percentages like 99.9% – $99.999 uptime. As we already mentioned here, all hosts can go down from time to time, and of course 99% uptime is better than monthly outages. Just try to find out what you will get if they really go down (some hosts offer better compensation than others). Many hosting companies offer services beyond hosting including domain names, content management, web analytic tools, etc. So, the advice is do not buy the services which you don’t need. A domain name is surely important, but it doesn’t mean you will get the best deal from your host. When choosing a hosting plan, price should not be your most important evaluation. 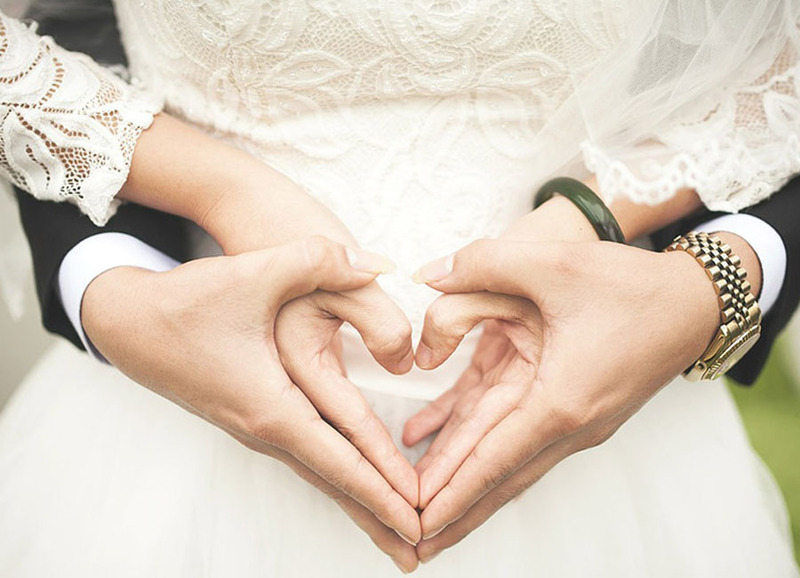 In most cases, you will find a host that will meet your requirements for a good price. Just don’t overpay for hosting. You can get a good standard hosting for less than $7 per month. Particularly, MotoCMS developers recommend the Bluehost hosting which offers one of the best plans available today. A good host support functions 24 hours a day, 7 days a week, all year round. You may be surprised at how often things go wrong at the most inconvenient time, for example, on weekends or public holidays. You can test their work by e-mailing them at Saturday night or Sunday morning and see how long they take to respond. 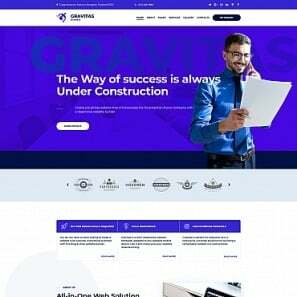 You can tell them the truth that you would like to purchase a hosting plan and just wanted to check out if the support meets your requirements. Some hosts may offer you a substandard kind of free support when you are charged a fee in the case you need more than a bare minimum of support services. Remember, a good host company provides a very good level of support without additional payments! 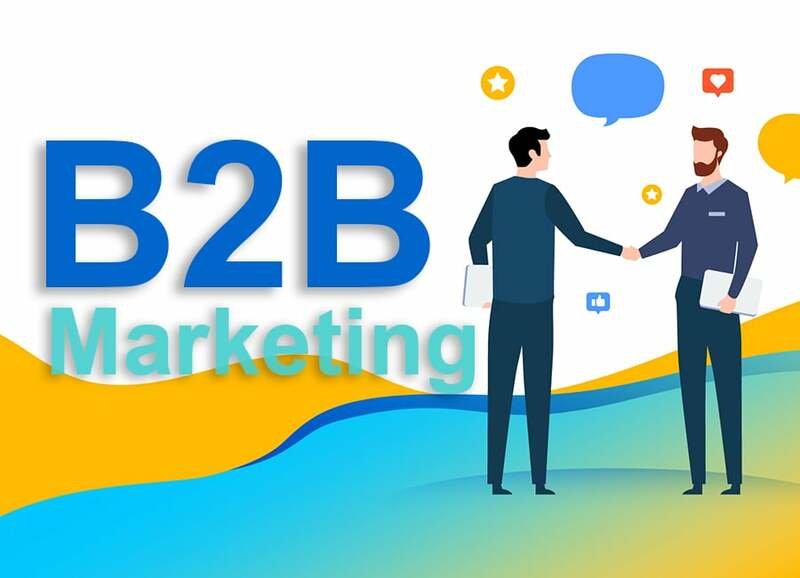 When we are searching for products or services, there is one thing most of us usually do… We are searching for people’s feedback and complaints against the product we are interested in. The truth is that you can actually find complaints against every well-known product or service. And what is more, due to some persistent complaints and inaccurate feedback, we have some obsessive myths regarding hosting and hosts. We will try to unveil some of them here. 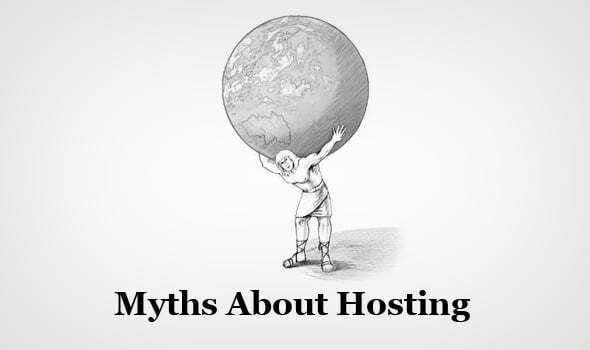 Myth #1: Expensive hosting means perfect hosting. There are no “perfect” web hosting companies around. 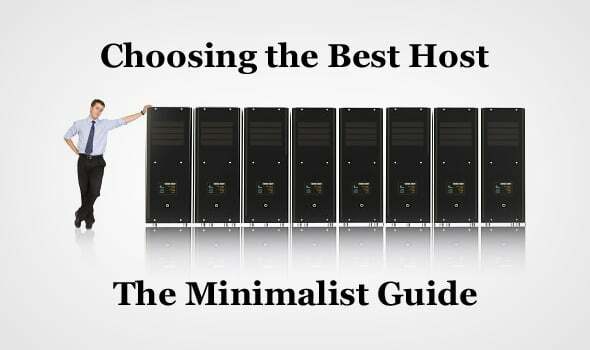 Even if you have paid a huge price for hosting, it doesn’t mean your host is ideal. Also, expensive price doesn’t guarantee you quality support. So, test, test and test before having a deal with any host company. Myth #2: All hosts with many complaints are bad. As we said here, we can find complaints against almost any product/service. So, you will easily find negative reviews and feedback against every hosting company. Try to check out search results for, let’s see, “host name bad” (you may get a few hundred (even thousands) of results). That looks like lots of negative stuff, but when you check some of the results, you will see that most of the results are not actual complaints, but tricks from review sites trying to entice you to their website pages. There can be a lot of unfounded complaints that in fact are emotional tirades without adequate explanation of the authors’ dissatisfaction reasons. 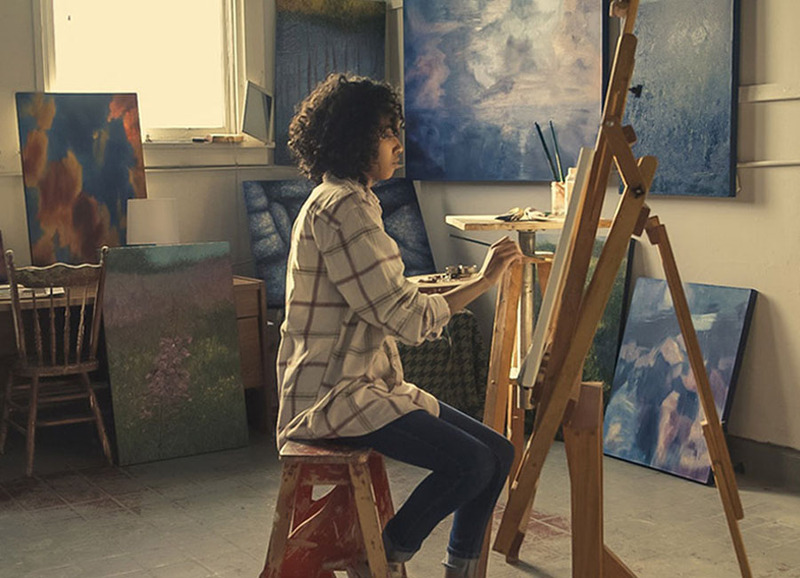 Or you can collide with other cases, when, for example, a client is complaining about the host violated its terms by cancelling the client’s account… Let’s face the truth: will the host want to lose its own income and risk to fall into disrepute by cancelling someone’s account with no solid reason to do so? It’s nonsense. Most often, the people who complain the loudest have only themselves to blame. Unfortunately, some dishonorable hosts have a bad practice by writing rave reviews for themselves – or worse, write negative reviews against their biggest competitors. That’s the truth. But please be aware that a host with a great amount of negative reviews may be a bad one. So again, try to deal with a host by someone’s honest recommendation or after your own accurate checkup. Myth #3: “We guarantee 100% Uptime”. Some hosting companies declare the 100% SLA index. In reality, it is impossible to achieve such a result. For example, there is a clause which states that the availability per year is 100% except 4 hours per month for unscheduled maintenance, unexpected outages caused by hacker attacks, etc. In reality, the declared 100% becomes 90%, which makes impossible to determine the real SLA number. Apart from the index interpretation, there is an issue of impossibility to provide any precise service availability level. To provide the level of availability of, let’s say, 99.8%, a provider needs an advanced infrastructure with high-availability features and system performance monitoring. So, for most of host providers, the mentioned 1.5 hours are just not enough for removing even the least failure – the infrastructure should be fully resistant to such issues. Myth #4: Good web hosts cannot provide services for less than $5/month. Almost all web host companies charge the full amount of the subscription upfront which helps them keep more revenue and profit. The bottom-line is that web hosting has become somewhat of a commodity, so it shouldn’t be expensive to get basic, quality service. 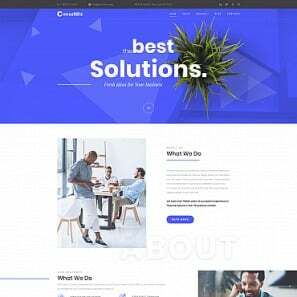 Our developers in collaboration with QA experts and MotoCMS users have tested a great number of hosting providers, and have found one that completely met our requirements… Bluehost, one of the most reliable web hosting providers, offers the most optimal hosting solution these days. In addition to keeping the price very low, they increased the space and bandwidth as well as let you host unlimited domains on every account. You will get analytic and statistics, a secure shell, FTP, CGI, SSL, Perl, PHP, RoR, MySQL, and much more. One more solid advantage is that they have an anytime money back guarantee. One more of our partners is Inmotion hosting, offers special discounted prices for 1-year hosting $1 in worth. We hope you have found this article useful and it will help you to make a good choice. And remember: even if you are fine with paying a huge price for your hosting needs, it does not guarantee that your host is good. This is an interesting industry where a high price does not necessarily mean quality hosting and support.